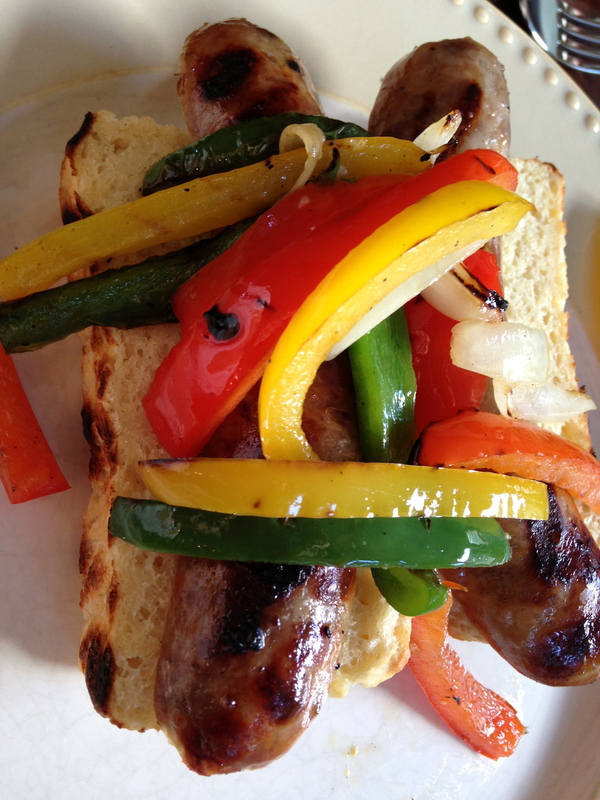 In between chasing a brand new puppy, trying to find a moment to vacuum my house and getting my daughter ready to start college, I wanted to make time to whip up a GF version of grilled sausage and peppers. Oh, the magic of the internet! 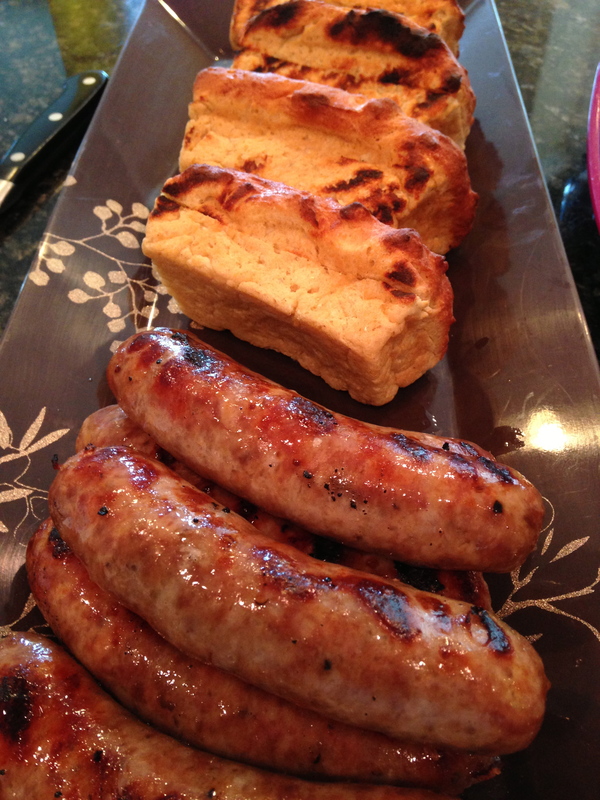 After a couple of google searches for ‘Gluten Free Brat Buns‘, it appears most just make a standard bread recipe, but the trick is to put it in mini-loaf pans. I just happened to have quite a few of those on hand, from my days of making Christmas food baskets (as gifts) for friends and family. With pans and a package of Bob’s Red Mill Gluten Free Bread Mix on hand, I got started. 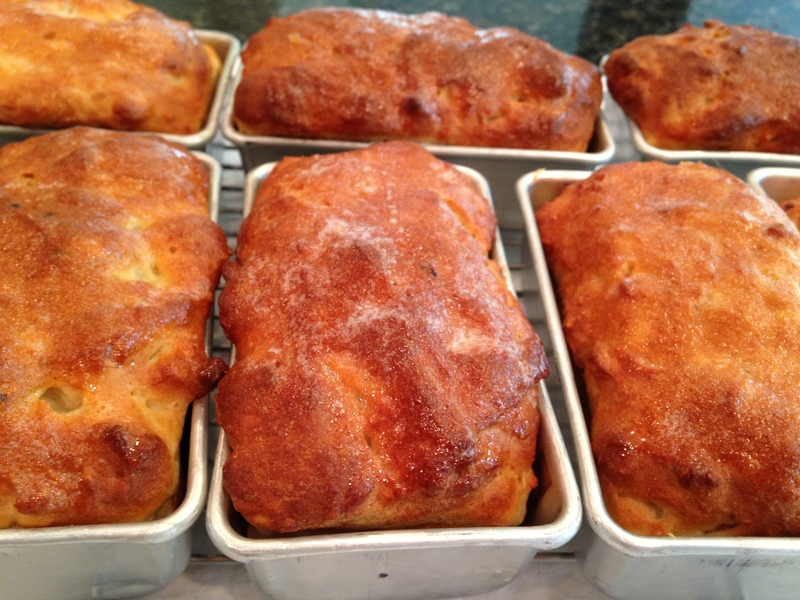 First I made the bread dough and filled the mini-loaf pans. They turned out beautiful. I brushed them with butter before baking, and after, to keep them a little softer like a brat bun would be. Then I gently simmered the Italian Sausage links in beer. (Be sure to check for gluten if you are intolerant; and if I’m not cooking for my daughters I simmer them in beer) [2015 update: Gluten Free beer is on the rise, and delicious. Find one and simmer away!] Simmering them gently in beer adds flavor and keeps them moist. Once done, I set them aside while I waited for the bread to cool and prepped my onions and peppers for the grill. When all was ready, I headed outside to grill up some tasty vittles. I use a basket for my veggies, lightly salt (no pepper until they are off the heat, the pepper can burn and taste bitter) and a bit of olive oil to prevent sticking. The sausages get a brief visit to a blazing hot grill to get a little char and heat back up again. Watch them, and when you see the juices bubbling inside the skins, they are done! Don’t wait for them to split and start squirting like an open fire hydrant, that will only result in dry as bone sausages. I also gently split the buns and grilled cut side down for a moment to get a slight grill flavor to them. Yum. Aren’t they Bee-U-Ti-ful?? 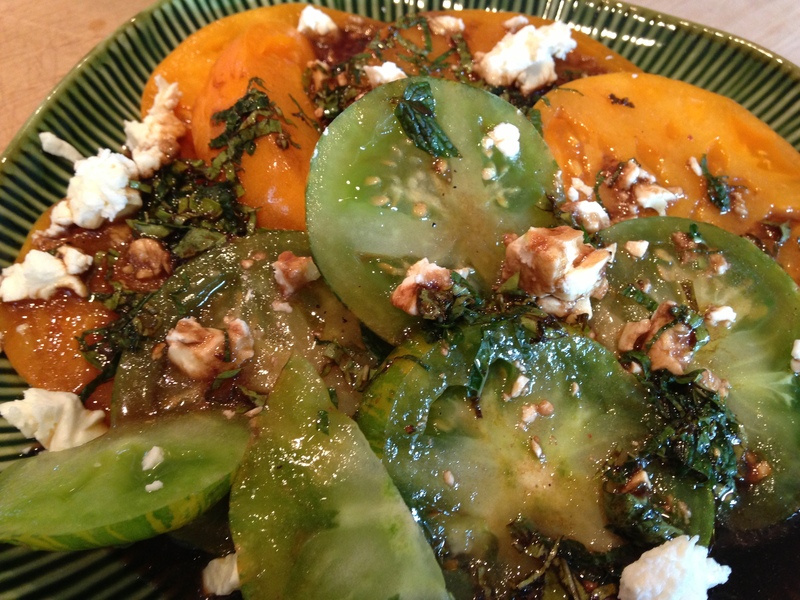 As a fresh and light side dish to the heavier brats, I included an heirloom tomato salad, but with a twist. Instead of your typical Caprese (olive oil, balsamic, garlic, basil, mozzarella) try this some time: EVOO (the highest quality you can find), raspberry vinegar, mint, basil and feta. The feta and raspberry are shockingly good together, and that hit of mint really takes it to another level. There you go, 2 recipes for the price of one read! Bon Appetite!